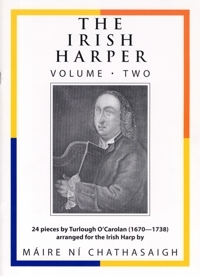 TURLOUGH O’ CAROLAN was the most famous of all the Irish harper-composers of his day, and his music continues to be the most popular ever composed for the harp in Ireland. 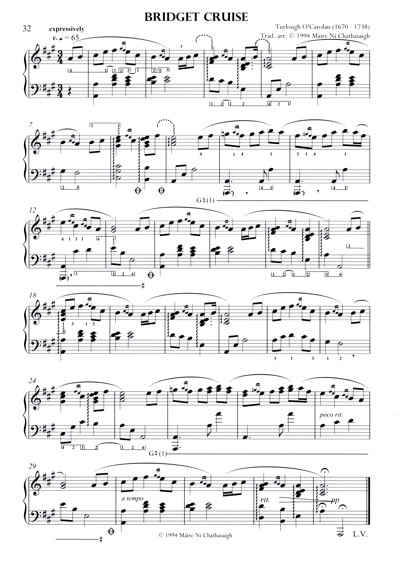 It affords a great deal of scope to the creativity of the individual performer, since only Carolan’s melodies survive. This book - the second in a series devoted to the authentic performance of all forms of traditional Irish music on the harp - contains original arrangements of 24 of Carolan’s beautiful tunes, informed by Máire's knowledge both of the native Irish harp tradition and of baroque forms.